Buying Land in Costa Rica - Are you thinking of Costa Rica Houses? Your Very Own Piece of Tropical Paradise! 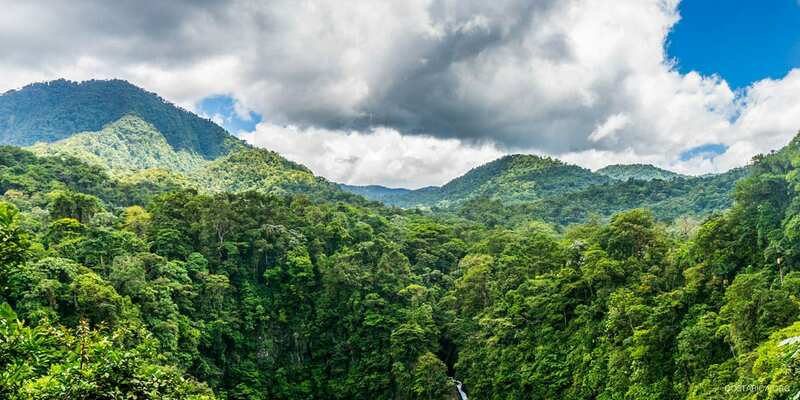 Thinking of buying Land in Costa Rica? Dreaming of having your very own piece of tropical paradise? Foreigners can purchase Land in Costa Rica. But don’t let your dream become a nightmare! Before signing an option to purchase or sale agreement, it’s important that you take your time and do your research before making such a big decision – even if it sound’s like such an unbelievable deal. Remember, if it sounds too good to be true, then it probably is. Great deals are still to be had in Costa Rica, and if you take the time for your due diligence, you can find a great investment on many Costa Rica Houses. It is important to look into the zoning plan for the area where you’d like to invest. You can request a certificate from the engineering department at the municipality for the “Uso del Suelo.” This is important because these regulates the potential use that the property can have. You need to know about potential restrictions if the land can be subdivided, and the density of construction that is permitted on a potential property before investing. Before buying land in Costa Rica, find a lawyer that specializes in real estate do a thorough title check. The majority of properties in Costa Rica are registered in a centralized system in the Public Registry and have a “Folio Real.” This folio real is like a “social security” number for properties, and all titled properties MUST have this number to obtain a clear title. This Folio Real number has three parts – the first number shows the province where the property is located, the second group is comprised of six numbers is the number of the property itself, and the last number shows how many co-owners the property has. Be sure to check and see if the property is a concession or in the maritime zone. Are there an annotations or liens against the property? The more you know beforehand, the better off you’ll be. It’s important you have your lawyer check out the title of the property you are looking to buy to see if there are any “easements” and if they do exist, have him explain them to you. These give other people rights to the property; this could include rights to water, power or passage through the property. These property easements or “servidumbres” could prevent you from developing the property in the way you’d like – so it’s important to be clear if they exist. >Don’t take the seller’s word for it! Hire and official surveyor to measure the properties and verify the size and boundaries. Make sure it’s not the same surveyor that the seller used as they could be working together. Larger properties on irregular land are especially prone to have differences in size or boundary lines. Perhaps the property has not had a survey in awhile, and neighbors have moved their fences. Costa Rica has a Cadastral Office which holds all property deeds, this official survey plan or “Plano Catastrado” must be on record at the National Registry to acquire, transfer or mortgage a piece of property. After purchasing land in Costa Rica, it is important to maintain the legal boundaries as shown on the survey map and fence in the property. You should be responsible for maintaining the fence and keeping the property clean against fires several times a year. When purchasing a property in development or condominium, it is important to do your due diligence and understand your rights and obligations. Do your research and be sure the Condo Association is listed with the national registrar and that you are clear on all fees, dues and other duties that you are responsible for. Rivers or Creeks on the Property? If your property appears abandoned, not well maintained and has no properly fenced in, it could be an easy target for squatters. Be sure to pay your property taxes and establish a physical presence on your land to avoid people moving on to your property. It is your responsibility to pay the municipality taxes equal to approximately 2.5% of the registered value once a year. Sometimes these property taxes are paid quarterly. You will not be notified of this financial obligation and could incur fines or worse by not paying them. If the property is registered under a Costa Rican Corporation or Sociedad Anónima. Then you may also be responsible for paying yearly fees on that Corporation. It is standard practice to purchase land in Costa Rica through a new company and through the transfer of the existing corporations that owns the property. The advantage of this system is that you can protect your property anonymously through the corporation or Sociedad Anónima. If you purchase a piece of land through an existing corporation, the advantage is that there are no transfer taxes or stamps to pay as the owner remains the same. However, there is no way to be 100% sure if the corporation is clean. Purchasing a business comes with its own financial and legal obligations. As well, annual taxes, income taxes and the maintenance of the legal books. What is the Property Number in the Folio Real? What are the Zoning Regulations (Uso del Suelo)? Any concessions, annotations or liens against the property? Are there any easements (Servidumbres) present? Is there anyone occupying the land now? Is the property fenced in and with the proper borders? Are there any setbacks due to rivers or creeks on the land? Is the seller the rightful owner? Are there any pending legal disputes? Can the property be purchased through Escrow? Can you prevent others from mortgaging or transferring your property with a “cédula hipotecaria”? Are there basic utilities available on the property in question (water, electricity)?